In November of last year, we had the opportunity to launch our first ever High School Startup Day. In partnership with Junior Achievement and the Innovation Hub, we welcomed over 100 students, 10 teachers, and 10 mentors to engage in the startup process to tackle a social sector issue. Since beginning in the summer of 2013, our constant experimentation process at Noble Impact has afforded us the opportunity to learn in an environment that embraces ambiguity and organized chaos. Developing new experiences and events for students requires that we do this type work if we want to challenge the status quo while offering entrepreneurial curriculum and programming. Startup Day is just one example of our work, which is supported by our certified curriculum through the Arkansas Department of Career and Technical Education (CTE), which any Arkansas High School may utilize as a program of study. At Noble Impact, our purpose is to increase access and opportunity for every student we serve. Therefore, we are excited to announce that our 2nd High School Startup Day will take place at the University of Central Arkansas within the UCA College of Business. Through this event, our partnership continues with Junior Achievement and we’re also developing a new partnership with the Conductor, which is spearheaded by Jeff Standridge and Kim Lane. We will again be sponsored by Startup Junkie Consulting, who continues to be a champion of entrepreneurial growth and education throughout the state of Arkansas. What if we launched High School Startup Days around the state of Arkansas that served as the access point to entrepreneurship for all students? 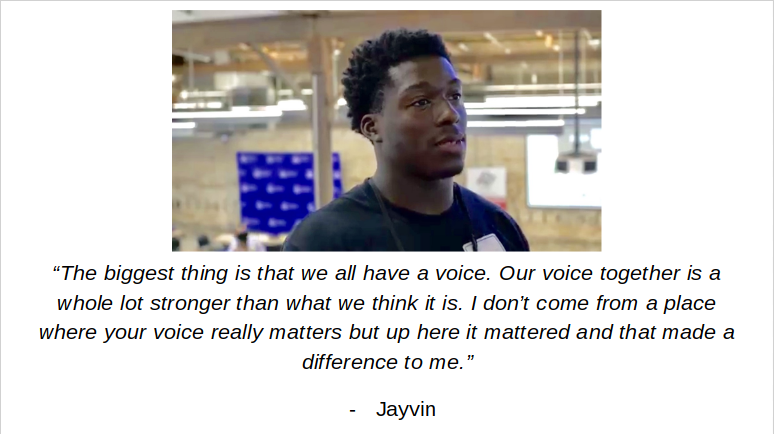 Answer: Maybe we’d get more feedback and reflection like we heard from North Little Rock Senior, Jayvin Johnson. If you’d like to know more about High School Startup Day, come out and see it in action…just RSVP!